Yes! The Grammy-Award winning solo instrumentalist, film producer, fashion icon, once-and-again lead guitarist of Guns N' Roses and rock legend, Slash, is coming to Shanghai early next year. With him comes the backing chorus to his sweet, sweet Les Paul, as part of their "Living the Dream" World Tour, supporting the third album that Slash feat. 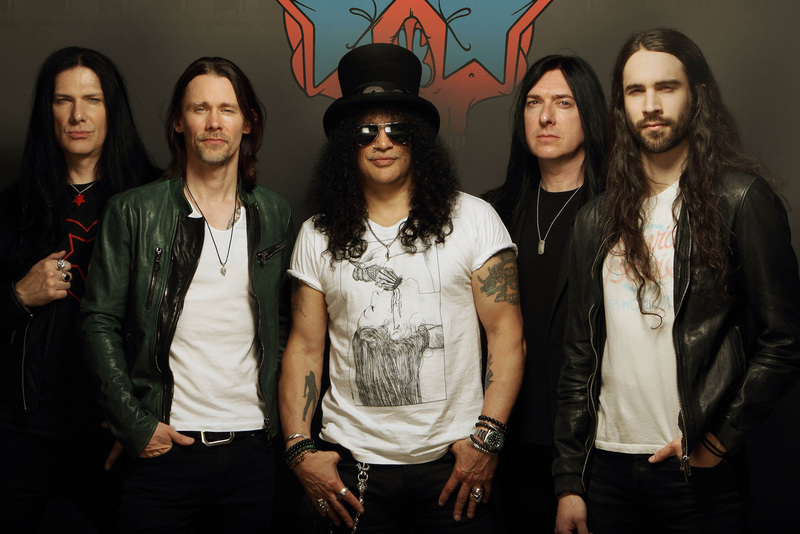 Myles Kennedy & The Conspirators (that's really the official name) have released since 2012. Slash doesn't truck with the usual "Band" feat. "Artist" malarkey. Slash brushes back his luscious locks and goes "let's be honest here, my name goes at the top of the flyer." Oh, and he also has a film production company called SlashFICTION. It's all just magnificent. The show's at ModernSky Lab on Jan 22. Tickets start at 1,280rmb and, of course, SmartTicket has them.